Yevhen Kravtsov will fill in for Wojciech Balczun as Ukrzaliznitsya's top manager. Ukrzaliznitsya CEO Wojciech Balczun has tendered his resignation, Prime Minister Volodymyr Groysman announced on Wednesday, 9 August. Groysman stressed that the Polish manager of Ukraine's state-owned railway operator, Wojciech Balczun, made the decision on resignation "absolutely independently." "I respect his decision. Over the past year, no matter what someone may say, we have seen definite positive changes," the prime minister said. Groysman thanked Balczun and said he understood that he had to work in rather difficult conditions in an "extremely complex company." 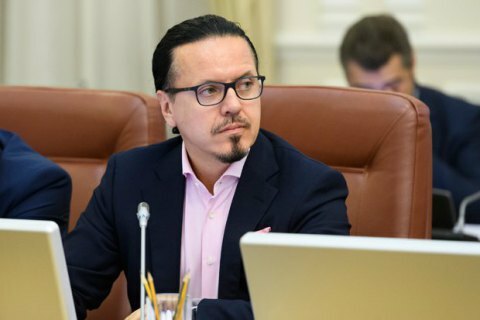 The first deputy minister of infrastructure and the chairman of Ukrzaliznytsya's supervisory board, Yevhen Kravtsov, will temporarily fill in for Balczun. The cabinet intends to announce a competition for a new top manager of the railway. Balczun confirmed his resignation on Facebook. "This was the most difficult and most important mission in my business life in a country where I have been only once before the appointment. A different corporate culture, legal environment, customs, language. My victory in the contest was both a surprise and a personal challenge for me... I always had full support from my family in Poland, but missed them very much," Balczun said. Wojciech Balczun was appointed Ukrzaliznytsya CEO in June 2016. In May 2017, he said he did not mind staying with the company.